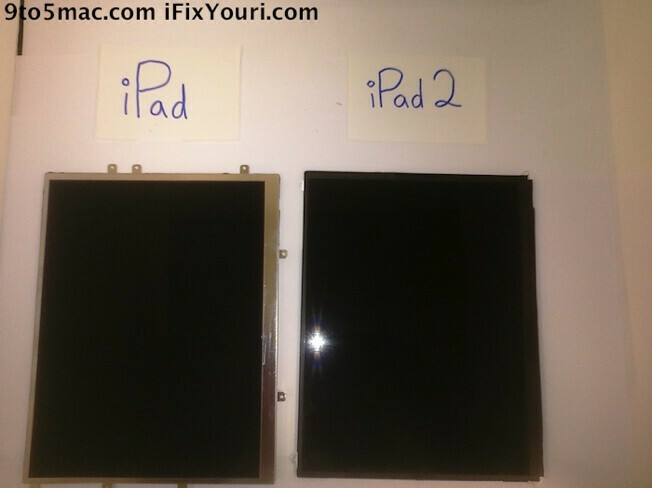 The WSJ has been in contact with a source "familiar" with the Apple iPad 2 and has been told that the tablet is already in production. Not only is the new model thinner and lighter, but it also sports a front facing camera and support for Face Time. Also expected to be improved is the speed of the graphics processor along with an increase in memory. Not everything will be different as the screen will have the same 1024 x 768 resolution. The paper is also reporting that AT&T and Verizon will be offering the Apple iPad 2, meaning that Sprint and T-Mobile will be shut out. The Journal's sources expect a launch of the iPad 2 some time in the next two months, priced within the $499-$829 range of the current model. Since the initial release of the iPad, Apple has sold 14.8 million units. Brokerage firm Piper Jaffrey expects the Cupertino based firm to sell 27 million iPads in 2011 with some estimates reaching as high as 35 million. Motorola had better get the Xoom in distribution for sale ASAP. Once the iPad 2 starts shipping, it will be time to start dropping the $799 price. Not a whole lot of improvements. I was hoping for a higher resolution display and a dual core processor. I'll stick with my ipad1 for now. lol, if your impressed with an ipad, you really need to wait for a honeycomb tablet. those things are leagues ahead. Why do i need a dual core in a tablet? Anyone? Its not like im installing crysis on the thing, im going to be reading books, and playing dinky games from the app store. I might do some web surfing. People are just getting ridiculous. What do you do on your tablet? in the event that you don't have a tablet, What are you planning on doing once you get one? Why would you buy an $800+ device to "play dinky games" and read books? You could get an e-reader for $150 and play games on your phone. A tablet is basically being made to supplement a full laptop now adays and new versions offer phone support as well. The processors allow for multimedia capture and editing plus sharing an also allow for full web browsing AS LONG AS you DONT get an iPad so this way you have FLASH SUPPORT for REAL web browsing. The iPad is worthless so that might be why you arent using it for much. I actually don't have any tablets because of those facts. I spent a day with an Ipad setting it up for someone else, that was enough time to know that if i had one for myself it would have a nice layer of dust after the novelty wore off. Stop being brainwashed by the media!Smartphones are still no way close to what a real computer can really do! So stop bragging about a dual core processor, when most of you guys don't even know why you need it! Please use your brain a little bit. 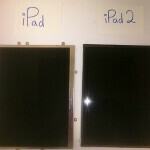 The ipad is just fine and it doesn't need a dual core, quad core what so ever! I admire the simplicity of apple products and this is the reason they sell like crazy, because most people operate this way. Not all of us are crazy geeks who have no life other than to brag about getting a phone with a dual processor that most of the others won't care about anyway. Make it simple, make it work, make it fast and functional and you've got a deal. And this is coming from a person who used to hate apple products! Enough said!